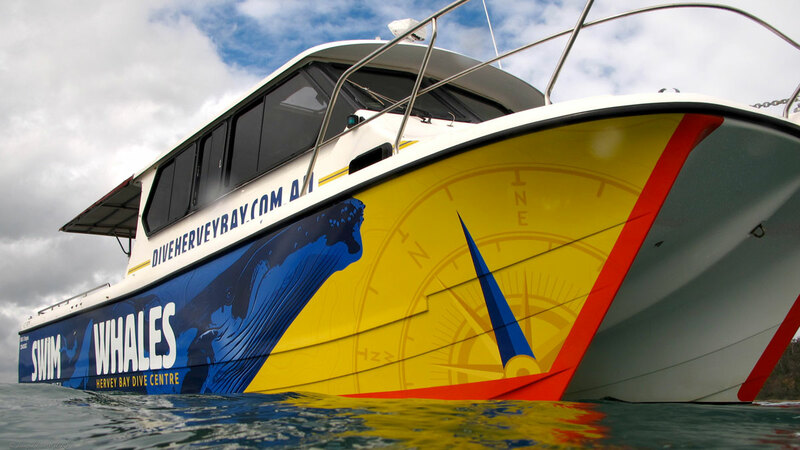 Hervey Bay Dive Centre operates the regions only dedicated whale swim experience when the humpbacks visit Hervey Bay between July and October. Our professional PADI Dive Team give 100% to ensure you get the experience of a lifetime. This exclusive experience is an incredibly special opportunity to watch & swim with one of nature's most majestic mammals, the Humpback whale, a curious, gentle and trusting creature. Guest numbers are strictly limited making for a personal and fun day on the water. Each sighting is different and every whale swim unique and personal. 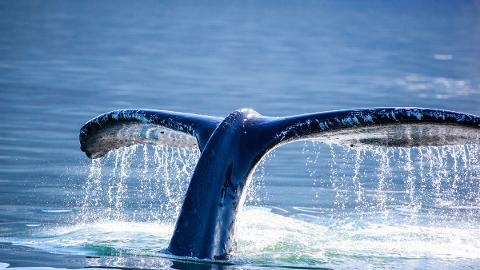 People that have swam with whales often describe the experience as "life changing". 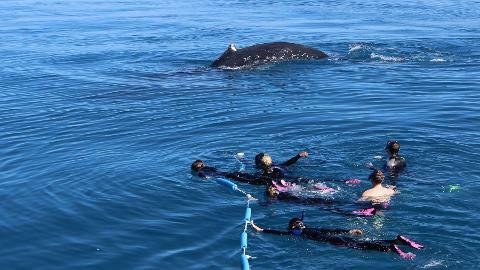 From mid July to the end of October our cruise maximises your opportunity to swim with the whales. The swim experience takes place via a 20m mermaid line connected to the stern of the vessel. For the whales comfort we only snorkel with them as they're not keen on bubbles. 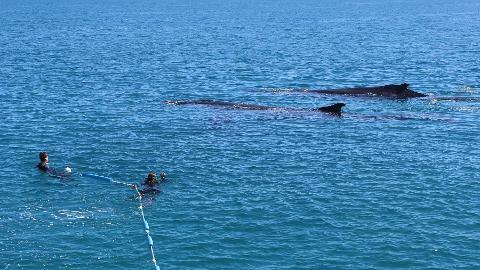 Swimming with the whales is conditions dependant and we only do so with the right whales and on their terms. 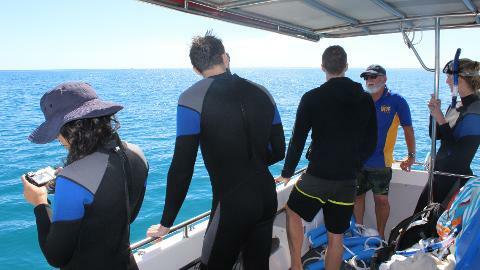 We provide all the equipment including a wetsuit, mask, snorkel and safety gear. 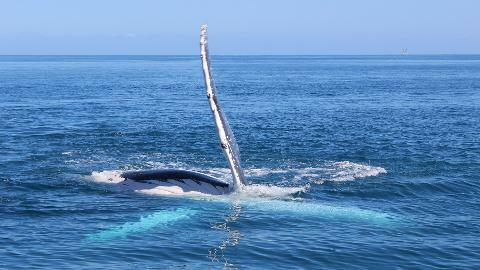 Even if we cannot swim for one reason or another our tour offers a unique and personal whale watch encounter in the best whale watching destination in the world, Hervey Bay! We depart from the floating Dive Centre office located on the Boat Club Marina near the fuel wharf. Our vessels, M.V. Utopia and M.V. Arcadia, are crewed experienced local skippers and friendly dive crew. Offering the small group unique experience you will encounter a most memorable tour and we look forward to hosting and welcoming you aboard. Mid-July to late October is our swim and whale watch season. During this time the tour will focus on maximizing your opportunity to engage in an immersive experience with the whales. From mid September to the end of the season more mothers and calves start arriving into the bay which makes for fantastic whale watching with a great swim when the opportunity presents itself. It is a requirement of our Marine Park Permit that we are not able to swim with calves. Challenging at times however we remain committed to seek out the opportunity to swim with suitable whales during this latter period. That said we still have the most awesome up close encounters with these great creatures. During the 2018 season we had 1200 customers engage and swim with a whale on our tours. 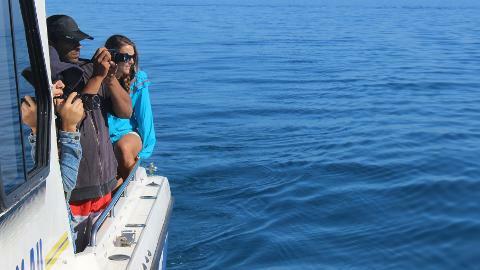 We champion a strict Code of Practice when interacting with the whales. The key component to this agreement, and a core philosophy of ours, is “on the whales terms”. In short this means we only interact with whales that are happy for us to do so. 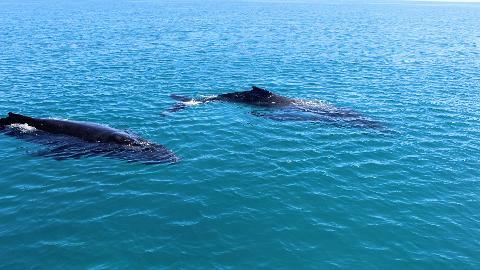 We guarantee whale sightings (seeing a whale from the vessel) between 20th July and 31st October. In the very unlikely event that the skipper cannot locate a whale during this period you will be offered a full refund or free return ticket. 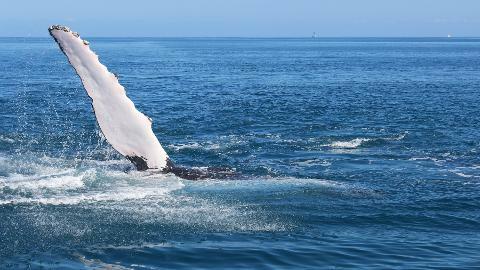 We cannot guarantee the swimming with the whales tour as on occasions the weather, sea state and whales behavior will prohibit the opportunity. Children under 8 years are not permitted to swim with the whales and a parental guardian must remain with them on the vessel. If 2 guardians are present they can interchange between the vessel and swimming when conditions permit. The tour is not suitable for children under 4 years.